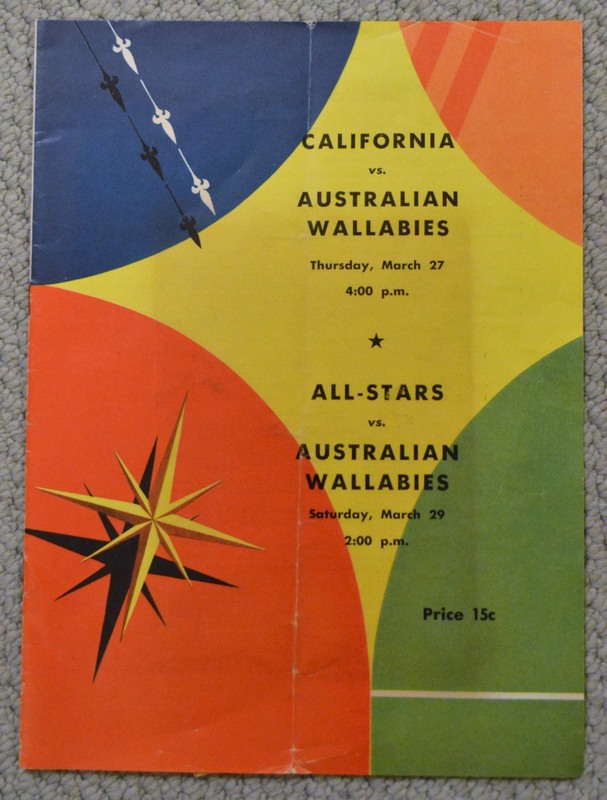 Very Rare, 1958 Joint Rugby Programme for California and for the All-Stars v Australia: Large colourful hardly-seen issue (but not forgotten once seen) for both these March clashes at Berkeley as the Wallabies went home. 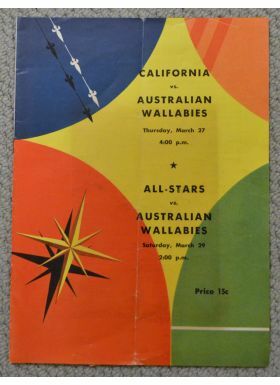 Fascinating US style, attitudes, explanations and adverts and with pics and cuttings also enclosed. Will you see another? Good, one fold.